The evolution of an outstanding neighbourhood begins with vision. One that carefully balances residential, retail and community components, ensuring its residents are never more than a few steps from everything they need on a day-to-day basis. Vancouver's False Creek Village neighbourhood does exactly this. 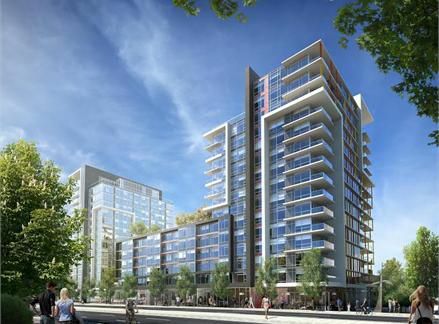 Tower Green is central to a multi phase residential and retail project called WEST designed and developed by The Executive Group in the center of the False Creek Village. WEST spans a full city block and is exceptional in every way imaginable. In the middle of it all and steps from the waterfront is Tower Green. From its incredible design and location, to over 43,000 square feet of fashionable retail space and restaurants planned at street level, Tower Green is the face of the Village neighborhood. Bold, Balanced, Central and Sustainable. Tower Green is the centerpiece of the new False Creek Village with completion scheduled for Late 2016.